Combines loudness and dynamics measurement with the ability to help create faders up mixes fast. Supports up to 64 surround channels, runs under macOS, Windows and Linux, can quickly analyse audio and video files and is able to save a report. New click and drag operation, additional presets for popular services, numeric mouse position info, zoom factor for the entire interface, improved efficiency, synchronised undo history, detachable settings panel and more. Price reduced from $49 to $39. For non-commercial and low revenue commercial usage. Price reduced from $24 to $19. 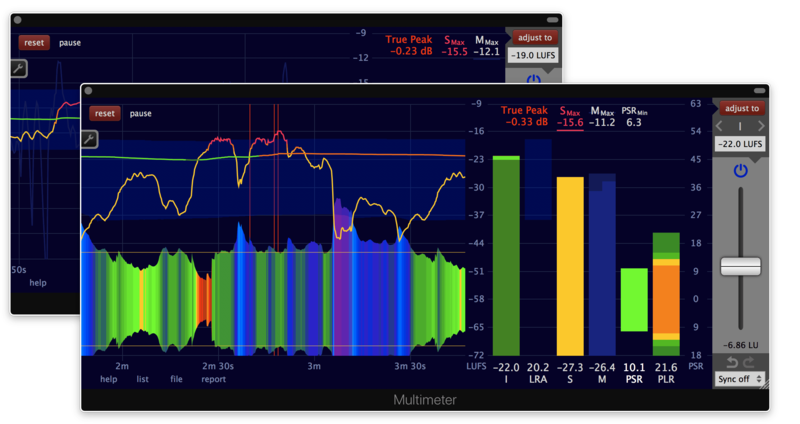 and one LUFS Meter license ($59).